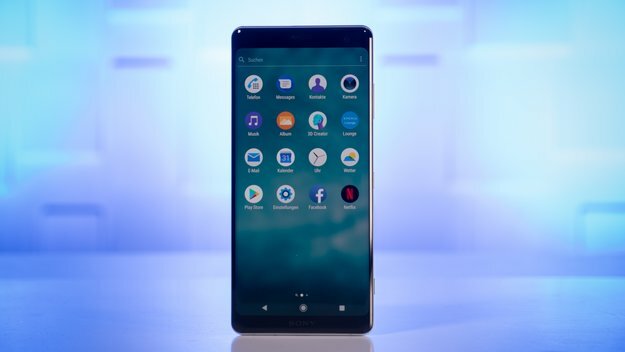 At the 2018 MWC event in Barcelona earlier this year, Sony managed to steal the attention by introducing the Sony Xperia XZ2 . Do not stop there, at the IFA 2018 in Berlin which took place since the end of August 2018, Sony also introduced the next series of Sony Xperia XZ2. Yes! This Japanese electronics manufacturer has introduced the Sony Xperia XZ3 . Interestingly, having a BRAVIA OLED screen, this smartphone was able to steal the attention of the Independent Strategy Analytics so it was crowned as the best screen smartphone. After being introduced at IFA 2018, Sony also immediately marketed this smartphone in the United States market. Continue to be carried to a wider market, now Sony has marketed the Xperia XZ3 on the European market, especially through the Amazon site in Germany and priced at € 799 or around Rp . 13 million . Of course, the price is the same as that offered by Sony through Amazon and Best Buy in the United States. Not only that, Sony also offers all available color variants, ranging from Black, Silver, White, Forest Green, and Bordeaux Red . Sony Xperia XZ3 comes with a 6-inch screen and has QHD + resolution . Sony also complements this smartphone screen with Sony Bravia TV image processing technology. The front and rear sides are also protected with a Corning Gorilla Glass panel . This smartphone itself has dimensions of 158 x 73 x 9.9 mm and weighs 193 grams. For the power supply, Sony Xperia XZ3 has also been buried with a capacity of 3,300 mAh which already supports Quick Charge 3.0 . Xperia XZ3 also supports Qi wireless charging . For matters of photographing, this smartphone has been equipped with a single rear camera that has a resolution of 19 MP f / 1.8 . Interestingly, Sony also inserted a 960fps super slow-mo capability and 4K HDR technology for the rear camera. Sony also still provides a special button to take photos. As for pampering selfie enthusiasts, Sony complements the Xperia XZ3 with a front camera that has a 13 MP resolution . It’s just that, Sony did not mention the matter of supporting artificial intelligence for its kemeranya. Xperia XZ3 also has Hi-Res audio through the S-Force Front Surround speaker. Other features that are also pinned by Sony are Wi-Fi 802.11ac, 4G VoLTE, Bluetooth 5.0, USB Type-C, and NFC . It’s just that, Sony does not complete this smartphone with a 3.5mm audio jack. Previous post A Nokia Handset Appears on 3C, Is Nokia 9?